It can be hard in a sci-fi RPG to figure out how the players should react to the setting. What wondrous elements should be commonplace, and which should evoke wonder? 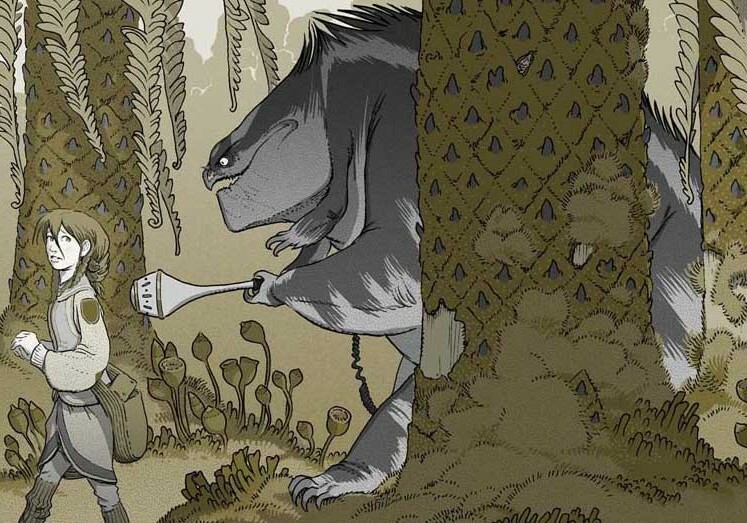 Tony DiTerlizzi’s The Search for WondLa has a great answer. As mentioned in the last article, this will contain spoilers for the novel! The Search for WondLa starts with a relatively normal scene: a young girl (Eva Nine) practicing outdoor survival skills. Everything is as you would expect for our world… but when she fails at a task the hologram fades, revealing she is in a small modern underground bunker with a robot (Muthr) for a teacher and parent! Eva has clearly never seen the real world. And, of course, events play out so that she is forced out into the real world. When she gets there, it is nothing like the hologram. From plant life to creatures, everything is alien (and superbly described and illustrated by Toni DiTerlizzi). This was perfect for my campaign, both as a story and as a way to introduce the Numenera rules. We start with normalcy, then turn everything into a world of wonder. In April 2014 I sent out some information on the system and asked them to create a Tier 1 character without choosing a Background or Connections. So that they wouldn’t focus overly on the wondrous qualities of Numenera yet, I told them to imagine their character was a newborn, with no knowledge of the past but a predisposition for the future. They could choose a Descriptor and Type. I encouraged them to think of the Descriptor as potential, rather than experience – you aren’t a veteran of wars but have what it takes to become one. You aren’t an accomplished nano/hacker… but your comfort with machines and tech could make you one. I asked players to jot down 2-3 Focus options they liked, but that they would be added during play. This was a way for me to start simple and turn more “on” as they learned about the campaign. Stat pools were based on character type. Skills could either be chosen or they could jot down a short list and set it in stone when they find it fits. Glaives could pick up a Fighting Move or also write down a short list and unlock it during play. The same was true of Nano Esoteries and Jack Tricks. Finally, they could jot down gear and even starting package cyperhs and oddities, but they should not assume they would start with it. Numenera Talk: Similar to Spycraft before it (not necessarily causual, mind you), you define your character (the noun) with two terms (adjective and verb), added to your class. “Leestov Nine is a Strong-willed Nano who Focuses Mind over Matter.” There are three classes, which in D&D terms would be Jack = rogue (nimble jack of all trades), Nano = wizard (but using technology so advanced it feels like magic), and Glaive (warrior). The adjective is the Descriptor, and functions as a combination of advantage/flaw, ability bump, skill grant, and role-playing hook. It feels like a D&D race, but with some twists. The verb is the Focus, and feels a bit like a more defined version of 13th Age’s one unique thing. It is often very fantastic, like “employs magnetism” or “rides the lightning” but can be mundane like “masters defense”. The focus has base benefits and tiers. Burton Nine’s “Explores Dark Places” creates a connection with another PC who gains a benefit when they work together, grants equipment, makes magical/tech effects take on a shadow aspect, and at tier 1 grants skill training. 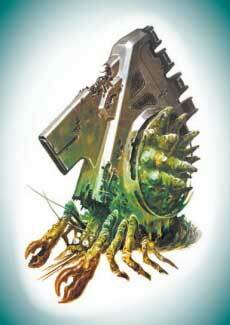 Later tiers grant a form of darkvision, let you escape bonds, grant a form of armor, or let you blind a target. Here is what we ended up with (we added the Focus by the end of the first session. In our first session we took about an hour to go over characters and review the rules. This was my first time, so I often turned to some notes I made and the Numenera GM screen. We began with them in the woods, working to survive in the (normal) wilderness. They couldn’t remember why they were here, but knew each other and remembered (as if in a fog) the need to secure shelter and make a fire. They had only normal gear (no cyphers), though one of them had an artifact (from the novel) called an Omnipod. It operated as a really good pocket computer and AI, making recommendations and scanning the area around them. Night was falling, bringing cold. This was a great way to set a false baseline similar to what Eva Nine thinks: the world is Earth, it is normal. There is a sense of mystery, but they have tasks that need to be done, which lets the players start learning the system. They had to build a fire, but a poisonous snake was under the dry branches nearby (hard to detect = task 3) and finding either resulted in a task 4 to know they tend to be a mated pair at this time of the year. They found the snakes (largely thanks to Burton’s savvy) avoiding disaster. Had they failed, they would need to operate a medkit or call out to other PCs as they start to be paralyzed (task 3). Stones could be used to frame the fire or set up shelter, but there was a chance of a landfall. The players did, in fact, trigger it! This was a good chance for the Omnipod to speak up and make its annoying but useful presence known. Had they succeeded at both tasks, the lighting of the fire would end the sequence. Instead, the immersion ended with the rockfall. Numenera talk: You roll a d20. Task difficulty ranges from 0 (routine, target number of 0) to 10 (impossible, human wouldn’t normally try it, target number of 30). The reason for the task is that circumstances can reduce it. A PC trained in a skill applicable to the task reduces it one step. So, task 3 becomes task 2 and the difficulty reduces by 3. Specialization is another step reduction. Clever ideas or favorable circumstances can also reduce the task level, as can assets such as equipment or other players helping. Finally, you can use Effort, which is when a player spends 3 points from the most applicable stat pool. Your pools are Might, Speed, and Intellect (and each of the classes favors one pool). The scene melted away, revealing them to be in a stark white windowless room… a holodeck! A door whispered open and in rolled Muthr, the robot who they now remembered as their teacher/parent… the only other intelligent creature they have known since birth. This is their home, called Sanctuary HRP-49. Muthr was quick to chide them for their failure in today’s training and send them to their chores. Check on the Greenhouse (collect food, water line is leaking, check on auto-composter feed). Wedged in a ceiling tile near the water line is a scrap of cardboard, upon which is depicted a young girl, an adult, and a robot, with a strange word: “Wond l a”. The PC found this as a child and has often wondered who WondLa is and how to find her. Verify ventilation system in Control Room was repaired by Sanctuary. Work out in Gymnasium. The password “Omniscient” had been found here. Additional studies in bunk room (personal effects reflecting growing here from a baby). Person with right personality goes to Supply and Generator room, accesses secret hallway in back of cleaning closet. Have journal about wanting to escape, see what is beyond. After the players had the chance to explore, ask questions, and think about the mysteries, a tremendous explosion went off outside the Door, causing alarms to ring out. One of the novel’s great foes, Besteel, had come. Muthr commanded the PCs to evacuate through the ventilation shaft in the kitchen, alerting that a breach of the door was imminent. Her last instruction is to find underground facility HRP-51. The players had options here. Some wanted to escape through the shaft, one wanted to explore behind the secret hallway for a second exit, while Destine wanted to make a stand. In the end, Destine went to take a look while the others began to escape. Destine ran into a swarm of drones and took a couple down, then caught a glimpse of a creature (Besteel) and his huge weapon. The others called to Destine, and they escaped. Numenera has a printable Creature Deck, which is really cool (buy just the printed or pdf Creature Deck directly from MCG or the larger Cypher Chest with items and XP). I went through the deck and picked the cards that best fit the creatures I expected to see. I first selected visually. Then, if the stats didn’t work I either made notes of changes or used one card for the visual and another for the actual stats. I made a note of the match in my outline. 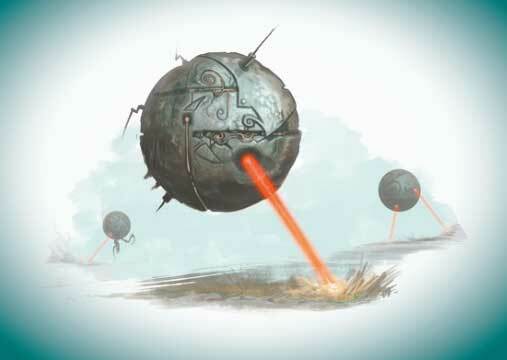 For example, I used Gazers (little metal orbs) as something the PCs might fight. They act as swarms, making a single attack roll, and are a low threat. Emerging from the Sanctuary’s ventilation shaft, the PCs find a bizarre world. Plants are nothing like they expected, sometimes reminiscent of microscopic plants or aquatic species, but enormous. The Omnipod they carry can’t identify a single living thing, from weird birds to what appear to be giant sundews (I used Orgulous for stats) that eat the birds. As they gathered their senses, the enormous trees around them begin to move like a herd. The players climbed aboard! Interestingly, Fugu Nine felt a connection to the trees. He could even nudge them towards the Sanctuary they sought. They were able to elude Besteel, leaving him behind… for now. So far so good. I loved how this played out, with the players quickly jumping into character and really interested in the mystery of their birth, Muthr, the Sanctuary, their purpose, and why the world wasn’t what they expected! The mental connection Fugu Nine felt was a fun mystery and tipped the players off that their characters were special and the campaign would be treating them that way. The players often exchanged theories on why they had a robot for a mother, a bunker for a home, and why the world was so different. 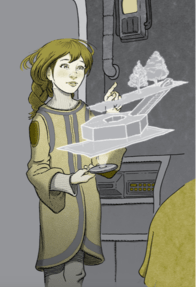 In the novel, Eva hides in the trees, then comes back to her Sanctuary, now irreparably damaged by Besteel’s attack. She finds Muthr, a very emotional scene, and refuses to give up, fixing her. Though the PCs realized they had that choice, they decided to proceed to the other Sanctuary. Leestov Nine did show sorrow, but seemed to conclude that Muthr had been destroyed. I made a note of that. With the help of the Omnipod they found the other sanctuary, numbered HRP-51. Here they met Rovender Kitt, a character from the novel. 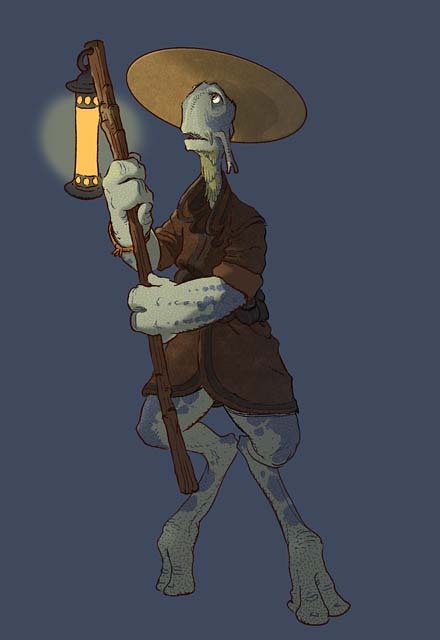 He began as an NPC, though Jonathan Liu (of GeekDad and a big fan of WondLa) would play him in the second session. Rovender is a cerulean, an alien-looking creature who here befriends the PCs. Through him the PCs get a few answers, though it requires the use of a strange powder (nanocytes/cypher) that act as a translator. 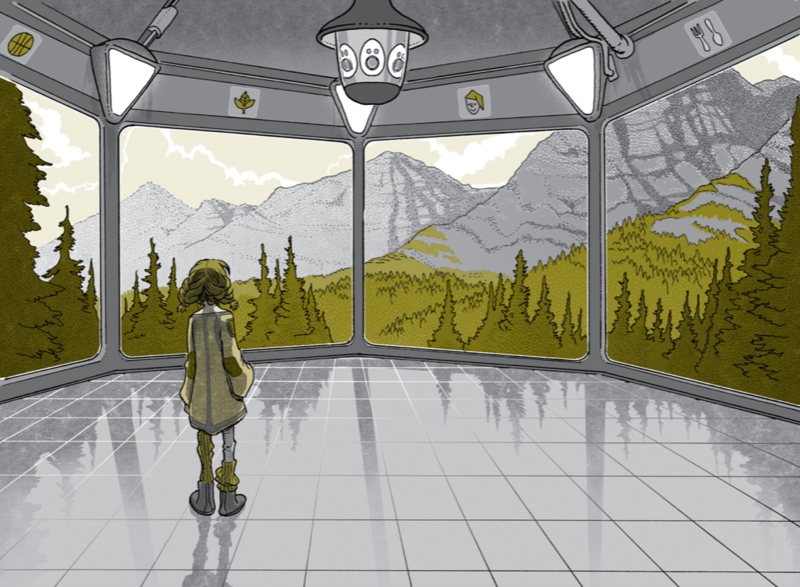 Rovender calls this planet Orbona and has seen other facilities like theirs – always ruined – but has never met humans. HRP-51 is in ruins. In brief, the characters can see evidence that this was a facility exactly like theirs, and in addition find a room that functions as a sort of genetic laboratory. Leestov finds the remains of a Muthr robot and tries to repair her… it might be possible with time. With some great roles he gets to ask a few questions, though none provide complete answers (providing cryptic answers was fun, causing them to make many cool guesses at the purpose of the Sanctuaries and why the world is strange). They remembered the hidden hallway and found that this one had one too… it even connected to another Sanctuary (HRP-47). A pile of computer equipment suddenly shifted, revealing it was a strange fusion of creature and tech (I used a Kalyptein Crab). This was a tougher fight, but not by too much. Enough to give them a feel for how the “stats are your skill success pool and also hit points” aspect works. It was fun for all of us. Numenera Talk: An interesting part of the game is that the DM doesn’t roll. An attack by a monster (which a DM would roll in D&D) is handled as a player making a defensive roll, using the stat/pool associated with the type of attack (dodging would use Speed). I like how this puts PCs in charge and lets me focus on narrative outcomes. On the other hand, I found that I often had the weakest grasp of the rules at the table, because I wasn’t actively using the rules as often as players. This ended our first session. Next up: The PCs come face to face with their hunter, nearly become part of a museum, and receive knowledge from unusual sources! This entry was posted on December 18, 2015 by Alphastream and tagged Numenera, Sci-Fi, Setting.